Projects and Progettazione: An alternative to the trashy crafty tat of Christmas! The construction of learning projects with young children is an area I have been interested in since first visiting the pre-schools of Reggio Emilia several years ago. At the moment with the advent of Christmas, educational (???) 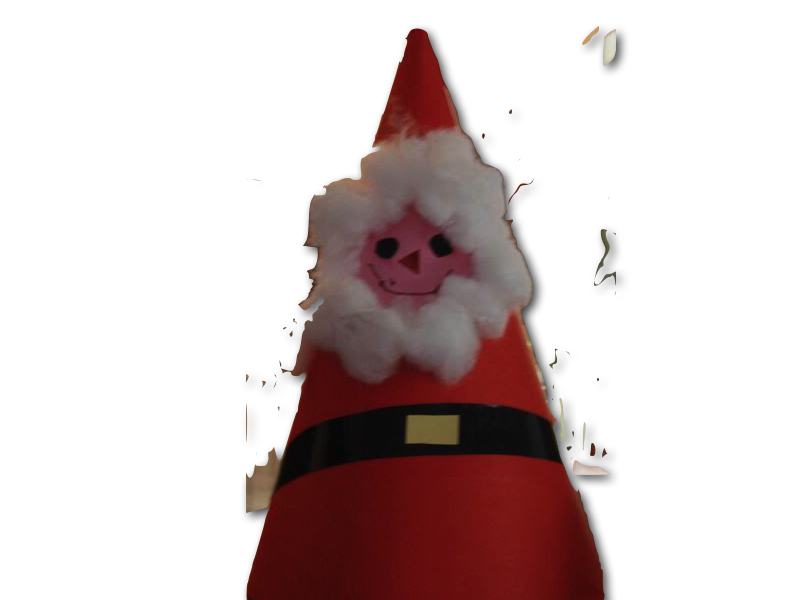 blogs are abundant with festive craft projects for children including fablon snowmen, cotton spool christmas trees and glittery paper stockings. For me project working offers an alternative to what I call the trashy tat of early years craft fodder! Harsh I know, but working with projects reveals and illuminates just what young children can do when not tricked to the table of trash. Working in this way (sometimes known as the project approach) enables the possibility for groups of children to work together exchanging ideas, opinions and constructing learning as a group facilitated by educators whom themselves are part of the group, co-constructing knowledge alongside of the children. They are a powerful pedagogic approach that encourage the space for deep exploration of a theory or concept and the expression and realisation of ideas of children working as a collaborative group. They challenge the idea of the learning environment as simply an arena of self chosen, self resourced and accessible materials and resources for children to choose from and provide an alternative to the make and take art and craft activity. Projects or progettazione(as they are called in Reggio Emilia) are offered to the children and often invite engagement of families. They are used as an opportunity to share the project and raise the profile of what is possible in early childhood education within the wider community of the school/setting. 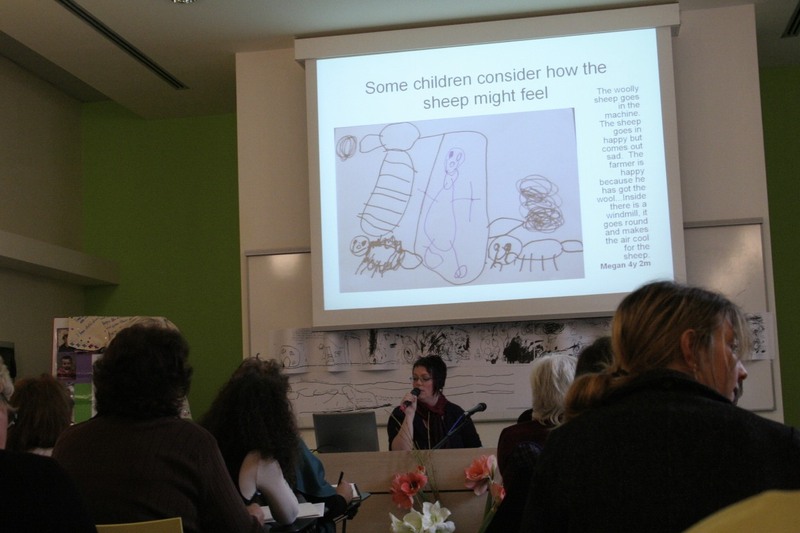 Sharing project work in Reggio Emilia - exciting and scary! A project far from being something that is could instead be considered as something we do, a way of working, and a pedagogical approach. It is not something that is delivered to the children in a single lesson (with an identified objective) or given to the children over a short period of time in chunks of a topic web but rather could be seen as a space where both knowledge itself as well as the process of the project are considered as emergent and elaborative where learning is built over time. Projects can be both short and long but will have this pattern of knowledge becoming more complex and more elaborate over time. A challenge in the beginning of any project is how to involve families as participants in the process of the project formation. On a recent study exchange to visit pre-schools in Stockholm I became increasingly aware of how projects were chosen based on a criteria not only of interest to the children but also in the ability of the proposed project for family participation. There the idea of the summer assignment or summer memory was as a UK teacher reflected upon, an important way for the school/setting/educator to establish a mutual relationship with the families that had at its heart an idea about engaging in and constructing the project together. It was often a simple invite, to bring something in related to the project concept, for example, something that made a sound (for a project about sound) or something found in nature (for a project about the natural world) but the objects and materials gathered from families were displayed with care in a prominent place, their value clearly communicated and then worked with and upon by the children with the resulting documentation shared back. Workshops can also be part of the project cycle that sees the participation of parents using the materials that the children are simultaneously exploring and the ideas being formed within the project. At one of the settings I work at, they recently held a wonderful parent meeting where educators facilitated a workshop for parents to play with and invent new tints of colours (an aspect of their project about transformation). It was an opportunity for families to involve themselves in the work and the emerging ideas of the children. Projects hold the possibility for professional development especially when entered into as a group of schools/settings working together. 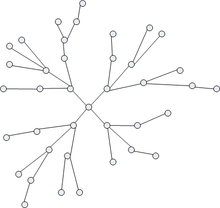 The project networks of teachers in Stockholm involved other interested parties from the wider context, for example people in the universities with an interest in the language or material being investigated in the project. Before launching head long into any project there should be a pre-project phase. This could be described as a time for finding out about the thematic concepts of the project for ourselves as educators from many different perspectives (not just education), a time of reading and research and of developing the vocabulary and language that will help us to see how the children might construct their knowledge. This pre-project phase is also a time of finding out from the children about their thoughts and first ideas. Reading around the subject of the project is incredibly important. In a recent project about photography, the reading from philosophical sources raised issues about the lack of plasticity of photography as a medium of expression and the potential that photography held to create images that were created without intention at all. Reading also helped us to understand the differences between an image and a picture. This was new knowledge and helped the educator team to re-frame the project and alert us to the possibility of oversimplification of techniques and the creation of unintentional images. Here are some brief pointers taken from my 2011 journal in thinking about projects with young children. Documentation should be used to reflect back and analyse the intent with children. Documentation should not be hidden but used for reflection and discussion with children and as a tool for constructing further active contexts for dialogue. Find a way and a time to decide with children where and how we’ll spend our time together. Project work requires being part of a group and this needs organising. Consider how a summer assignment/memory could act as a starting point for a project and make it visible and possible for children to continue working with the artefacts collected. Share this documentation with families. Develop parent workshops to work with the materials of the children, their ideas and their theories. Consider what you want to find out as part of the project, use this as a basis for for your research questions. A project is akin to a research methodology. Dialogue with families should infect the direction of the project and not just be a one way feedback to families. Alert children to the connection between their ideas, thinking and use of materials in a group context (contagion and borrowing of others competencies). We must directly activate these important opportunities for reflection and noticing what each other does and how it connects. Make ongoing project work visible – if it is visible we can use it as a visual aid for dialogue and discussion with families and children. Observational work and drawing – it is not a way of making beautiful paintings or drawings but as a way of constructing meaning and looking closely at something. In projects, drawing is an important technique for playing with and communicating ideas. It would be really good if people reading this blog could add their ‘project pointers’ and help grow this list of things to think about. I find it fascinating that people from all over the world are reading and sharing my little blog. We have the opportunity to create a global multiple perspective on working with projects with children. This is my English slant on it, so what do projects feel like and look like in Australia, America, Peru or Spain…? – or even in other parts of the UK?